Estate planning becomes easier and more sustainable when the family philanthropy is aligned around societal values and family values that allow for learning about family traditions, norms, expectations and leveraging impact. When children are introduced to the family values of philanthropy at a young age, they find comfort and confidence in an expanded identity of their family. When the family is aligned on a clear vision and understanding of what makes it unique, as the next generation comes of age, they’re already practicing and participating in the wealth in productive ways. 1. The entire family, spouses and children over the age of 16, have participated in establishing a philanthropic mission statement. Often advisors work with the family leadership to establish a philanthropic mission. Sometimes that is simply a high-level outline of where the family has historically given, or perhaps based on the interests or causes close to the matriarch or patriarch’s heart. While this is effective for a time, it is rarely enough to engage the next generation in serious, long term giving. In order for them to “buy in” to the philanthropic activities, they need to have a say in what causes, be able to articulate why those causes are important to them and have input in the structure and amounts donated. 2. The entire family meets regularly to review and discuss decisions and compare the philanthropic mission to values of receiving organizations. By “entire family” we mean spouses, grandparents, and children regularly meet to review and discuss philanthropy. 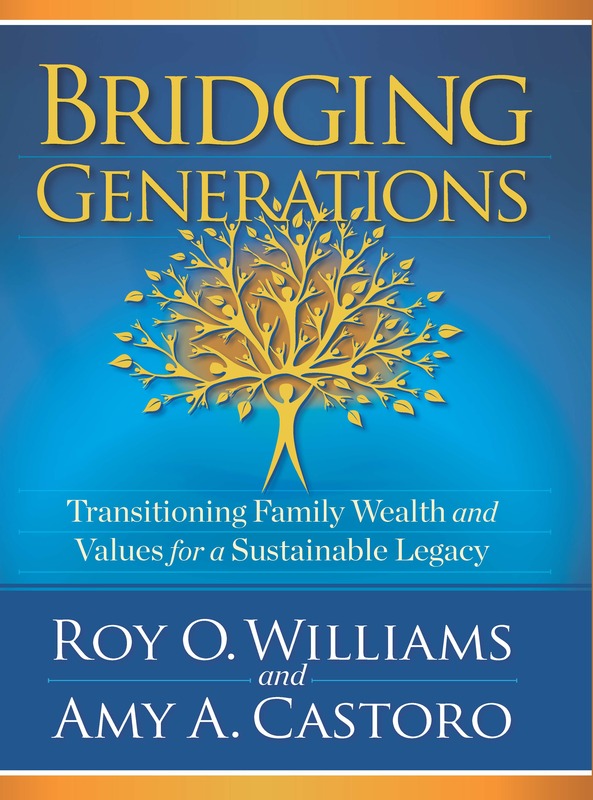 Although it may be challenging to bring everyone together, it is a pragmatic way to build family pride, witness family values in action, and make strong connections between generations. One way to ensure family participation is to tack a few extra hours before or after a family vacation. 3. Younger children are given the opportunity to develop their skill in assessing, evaluating, and following up on their giving choices and results. Philanthropy is an excellent platform for younger children to learn to ask the right questions, speak up in family meetings, begin to see the advantages of wealth, and become accountable for their own choices and giving. Assigning a family mentor to guide them in putting a brief presentation together to pitch their ideas and explain the impact of their giving. This can be a fun and rewarding way for younger generations to connect with older family members. 4. Family members are held responsible for conducting due diligence on the impact giving has had on causes that have been funded. It is important that shared standards for identifying impact are established. Once everyone is in alignment to those standards, grant making only occurs when those standards have been met. 5. The family has a clear decision-making process for determining how giving is distributed. Some families identify a “family council” who has the ultimate decision making authority. They establish timelines to submit recommendations with parameters and have clear channels of communication. There is transparency regarding how decisions were made. 6. The family has the needed skills and has a process to resolve conflicting points of view and ensure each person’s perspective is heard. It is essential that a family is able to speak openly and candidly about their goals, concerns, and recommendations. Communication that only flows from the top down limits the level of authentic participation and often leads to resignation. Learning to engage in conflict and produce generative solutions is a skill. With practice, that skill becomes integrated into the normal communication patterns in a family and promotes sustainable family unity. 7. Family roles needed for philanthropic giving have been identified, standards for successful performance, and required competencies are agreed upon. Examples of roles include a person to lead the initiative, or a spokesperson for the family to field all requests for donation. Other roles may include a financial person to assess the viability of donor organizations, liaison to advisors, or person to communicate outcomes to the rest of the family. Every family has unique roles to be identified for successful philanthropy. Each of those roles need to be identified, shared understanding of the expectations of the role established, competencies required to be granted and fulfill in the role clearly understood, and length of term to serve in the role agreed upon. 8. Philanthropy is used to teach family processes such as personal goals, financial management skills, and authentic communication. Fundamental life skills of reaching personal goals, understanding basic finance, and learning to speak truth to power can be learned through the philanthropic process by having a third party initially facilitate meetings. A family wealth coach is essential in providing outside credibility and keeping the family focused on learning as well as accomplishing their goals. 9. Philanthropy is more than a tax deduction, it is a treasured vehicle for multi-generational involvement to build family unity, pride, and operationalize family values. For many families new to significant wealth the tax deductions available through philanthropy are their first foray into giving. It also has the potential to serve a far greater purpose focused on the family itself, as opposed to the wealth. In this way, the family drives the philanthropy as opposed to the wealth. Philanthropy becomes a foundational cornerstone for the family’s identity in the community, provides a strong sense of unity and pride for family members, and a touchstone for younger family members to find their place. 10. The family is able to engage in open and honest dialogue and it is okay to disagree with family leadership without fear of judgment. 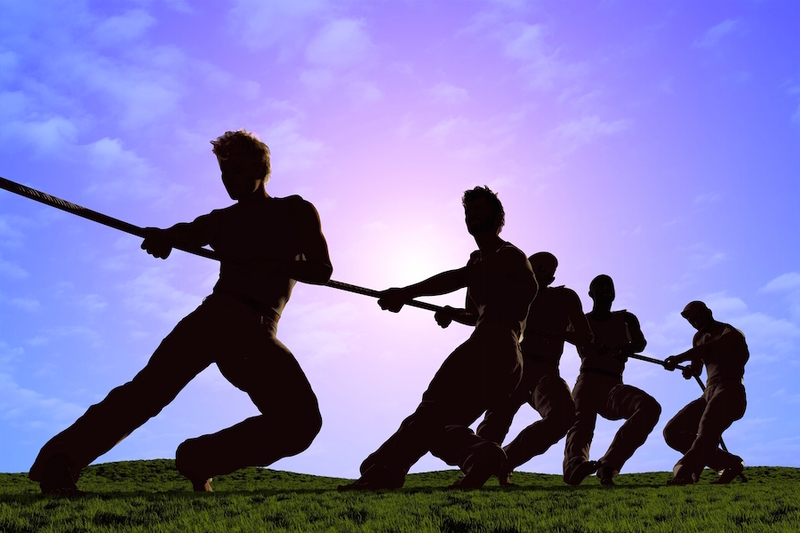 Competition and judgment can be bi-products of highly successful families. In some cases there is also a high degree of control stemming from family leadership. The consequence of this dynamic often leads to frustration, lack of willingness to spend time together, and an inability to speak directly and honestly. Trust with one another may become compromised. These situations require adding new ways of engaging with each other that allows each person to contribute in their own way and still meet the high standards within the family. Learning how to repair, build, and manage trust, manage moods, and produce alignment are essential skills to successfully transitioning family resources.